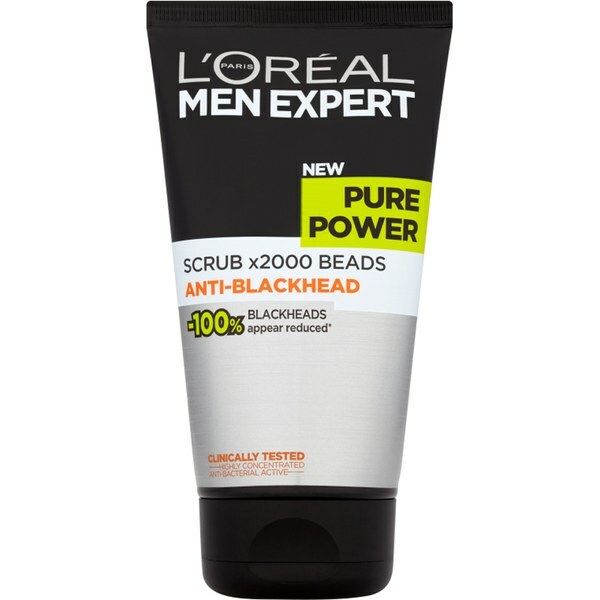 Formulated with three types of exfoliating beads, the L'Oréal Paris Men Expert Pure Power Scrub delivers a deep pore-cleansing action to protect against blackheads and spots. Infused with salicylic acid, the powerful scrub diminishes dirt, oil and dead skin cells, unclogging pores and fighting spot-causing bacteria without over-drying. Experience a super soft, smooth and revitalised complexion. E.N.